Smart technology and patient safety – a double-edged sword? 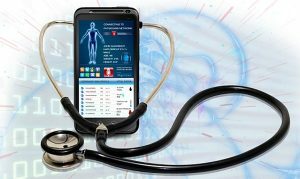 This blog explores the implications of a specific type of information and communication technology on healthcare delivery: direct-to-consumer (DTC) self-monitoring devices and smartphone apps. The use of such technology is central to healthcare systems delivering more personalised care, and may be useful given an ageing population, the increasing prevalence of chronic conditions, and the aim of reducing hospital admissions. However, smart technologies may create a double-edged sword for therapeutic relationships and patient safety. When used properly, these technologies may promote safe and effective care by empowering patients to take charge of their own health and promote efficient sharing of relevant health information. However, if not regulated or incorporated appropriately into clinical care, smart technologies can pose significant ethical and safety concerns. The use of technology in the hands of patients is not new. Patients with chronic conditions such as hypertension have long been able to purchase blood pressure monitors, and those with diabetes routinely carry out blood glucose tests. Other DTC tests can diagnose sexually transmitted infections, detect Group B strep in pregnant women, predict bowel cancer and provide preliminary risk assessments for genetic conditions. Mobile devices that provide instant electrocardiogram (ECG) reports to detect heart arrhythmias and computer algorithms that can analyse photos of suspicious skin lesions are also readily available for smartphone users. However, as smartphone and its associated technology continue to advance, device companies are increasingly targeting asymptomatic and pre-symptomatic populations, reaching not only patients but also healthy consumers. Half of the world’s adult population own a smartphone, and this is predicted to increase to 80% by 2020. With a low barrier to market entry, there are estimated to be over 100,000 mobile healthcare apps, including various wellness wearables that continuously track vital signs or provide basic dietary and exercise activity information to users. Medical devices are regulated by agencies such as the Food and Drug Administration (FDA) in the USA and the Medicines and Healthcare Products Regulatory Agency (MHRA) in the UK. Products which claim to diagnose, treat or prevent disease (including software applications) are likely to be classified as devices and regulated accordingly. Nonetheless, despite being aggressively marketed as health-promoting tools, many apps and wellness wearables which monitor general fitness are not formally categorised as medical devices and are thus not regulated at all. Traditionally, symptomatic patients have to take several steps and rely exclusively on their doctors for direct information regarding their health. Many pre-symptomatic individuals do not know of their own susceptibility to various conditions and would have to wait until they have fallen ill before receiving medical attention or advice. As health-tracking devices allow patients immediate access to their health data, they may enhance efficient and timely sharing of vital information to wider patient populations as well as facilitate more informed clinical counselling. Smart devices may help health professionals and patients in rural and isolated areas to share and coordinate recorded information that is traditionally unavailable to such communities, thereby promoting more equitable access to health information and corresponding management options. With smart devices, patients can ask more relevant and timely questions based on the recorded information, and doctors can confirm the accuracy of patients’ reports of their symptoms accordingly. Patients with busy lives or cognitive decline can particularly benefit, as they may recall their symptoms, activities, and other information incorrectly, especially when there is a significant time lapse between noticing the symptoms and consulting a doctor. At other times, patients’ physiological responses (e.g. heart rate) may fluctuate depending on various circumstances (e.g. work stress), such that their physiological markers at the time of their clinical consultation may not tell the full story. Having recorded information that spans a period of time may provide clinicians with a more complete picture of the patient’s condition that can help to facilitate appropriate care and promote better health outcomes. Limited studies exist regarding the accuracy or validity of various “symptom checker” apps, which are mostly developed by lay entrepreneurs rather than healthcare professionals. Furthermore, while meaningful data that can confirm one’s healthy status can reassure most patients, for the “worried well”, the device data may exacerbate their health anxiety and compromise patient safety rather than promote productive engagement. Healthy yet anxious individuals may seek medical appointments based on untested technology. This can compromise therapeutic relationships, patient safety, and appropriate allocation of scarce medical resources. The tide against medical paternalism may discourage clinicians from overtly dissuading consumers and patients from using health-tracking devices. Nonetheless, in the name of upholding patient autonomy, doctors may ironically feel pressured to practice “defensive medicine” and order further tests or low-value treatments that may carry other risks in order to avoid possible litigation. By marketing directly to consumers, device companies are also shifting the delicate but important balance in provider-patient relationships. If device users are primarily consumers rather than patients, a “buyer-beware” attitude may result, diminishing the importance of the therapeutic relationship. An increasing expectation of patients to be actively and technologically engaged in their own care and an over-reliance on these applications regardless of patients’ desire, technological literacy, and economic means may violate patients’ autonomy and exacerbate access disparity. It may marginalize patients who have no affordable or reliable access to internet or mobile technologies, such as people who live in rural or isolated areas, and affect others who feel uncomfortable with these technologies (e.g., elderly patients). Smart technology has the potential to facilitate patient engagement and strengthen the credibility of patient testimony, which may in turn help to promote patient safety and ethical therapeutic relationships. Nonetheless, the reliability and clinical utility of many of these devices have yet to be proven. There are also privacy and data protection considerations that are beyond the scope of this brief blog. To maximize the potential of these technologies, regulatory bodies need to develop clear and unified guidelines in distinguishing “recreational” from “medical” devices and monitor their marketing claims and safety respectively. For example, the utilization of a comprehensive risk assessment framework can help regulatory agencies to evaluate the complexity of an application and its probability and severity of harm. The FDA and MHRA are developing guidance on regulating and monitoring the efficacy of mobile medical applications. However, creating a global infrastructure for mobile medical applications to provide common guidelines and serve as a repository for shared resources may also help to standardize safety requirements and promote evidence-based practices for doctors and patients. Whilst the safety of medical devices is monitored by regulators, much of smart technology (e.g., wellness wearables) falls outside of formal regulation, either because it is not classified as a medical device or because of enforcement discretion. Promoting safe use of these devices thus requires a more collaborative approach among different stakeholders. In particular, it requires the active educational and supervisory involvement of professional organisations and greater use of consumer/patient experience data. Professional organisations and patient advocacy groups can partner together to ensure that healthcare providers and consumers/patients are educated about the appropriate use and limits of these devices. Such collaboration may offer a more effective way to gather feedback and promote patient safety than formal regulation. It is only when these tools are marketed and utilised properly in the context of informed and supportive therapeutic relationships that they can effectively promote not only patient engagement, but also patient safety. Professor Anita Ho is visiting the Law School as a Benjamin Meaker Fellow between June 18-29 and will be delivering two seminars.